Ms. Barr is a P.E. teacher at Springfield Elementary School. She asks Lisa why she wasn't playing dodgeball and Lisa replied that she was too sad. 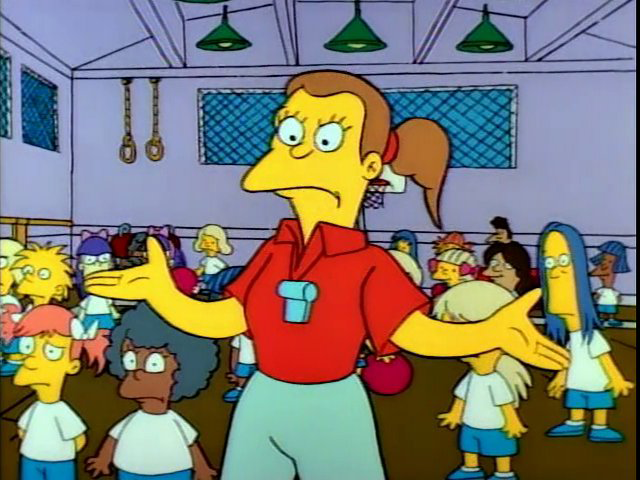 Ms. Barr didn't think you could be too sad to play dodgeball and told Lisa to show some enthusiasm and tells them to carry on playing.